Meteorologist Tom Skilling sounds the alarm! 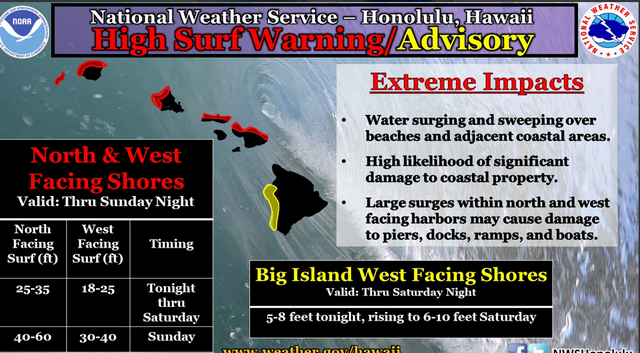 Hawaii is facing monster waves and high winds in the next few days. A powerhouse "Kona low" (described below) is behind the meteorological and oceanic mayhem. The storm is threatening huge waves--some as high as 60 feet high on north-facing shores--along with powerful winds. At high elevations (well above those at which resorts are located), gusts over 125 mph are a threat. At resort levels, winds are to build to 20 to 40 mph Sunday with gusts to 60 mph possible. Kona lows are subtropical (in other words, "non-tropical") cyclones (i.e. low pressures) that occur during the cool season in the north-central Pacific. 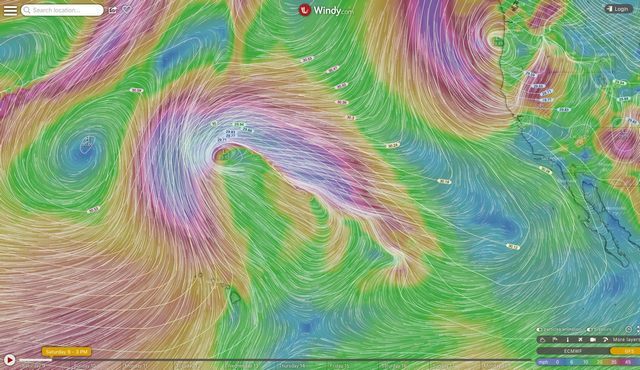 The Hawaiian word, "kona", meaning leeward or downwind, is used to describe winds with a southerly component that replace the usually persistent trade wind regime. 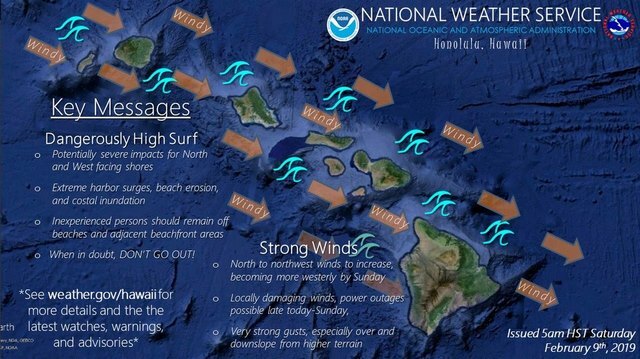 Historically kona lows have produced a variety of weather-related hazards including heavy rains, hailstorms, flash floods, landslides, high winds, large surf and swell, waterspouts, and severe thunderstorms. " And here's a GOES-17 satellite animation courtesy of CIRA-RAMMB out of Colorado State.